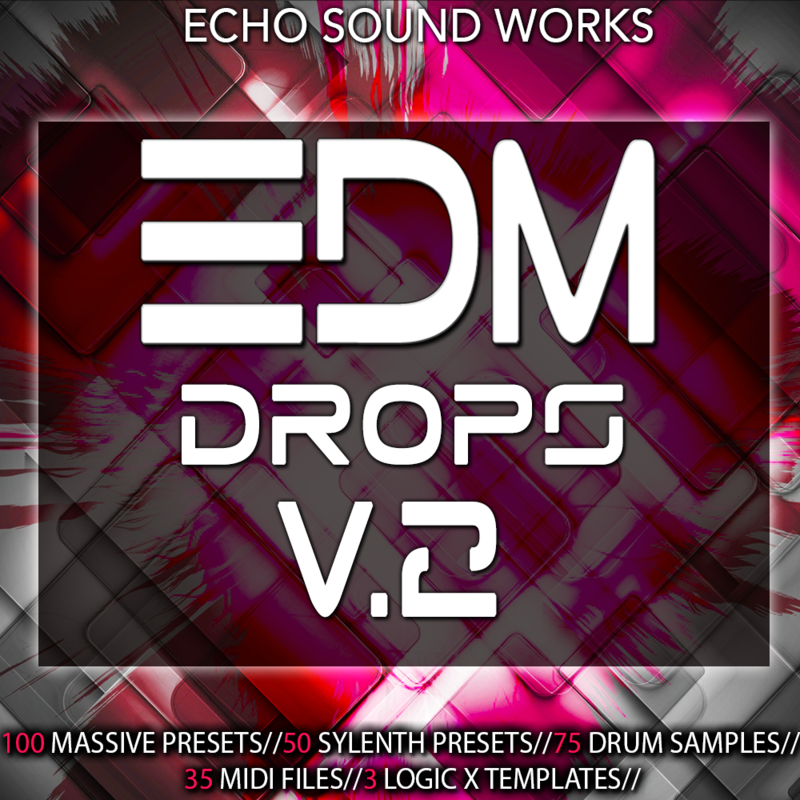 EDM Drops V.2 comes with 100 expertly and creatively designed presets for NI Massive. This pack covers a wide range of genres from Main Room, Progressive, Melbourne, Future House, Trap and more. Each presets was designed to be as drop ready as possible. Because the sounds in this pack are meant to fit into your drop section, we decided to create highly unique sounds instead of creating a bunch of replicas of famous sounds. It wouldn’t be an Echo Sound Works release without a bunch of bonus goodies. On top of the 100 Massive presets, we’ve also included 35 MIDI files taken straight from the demo, 75 drum samples and 50 bonus Sylenth presets.